Ideal for its 103 repaired with quality affordable pieces. 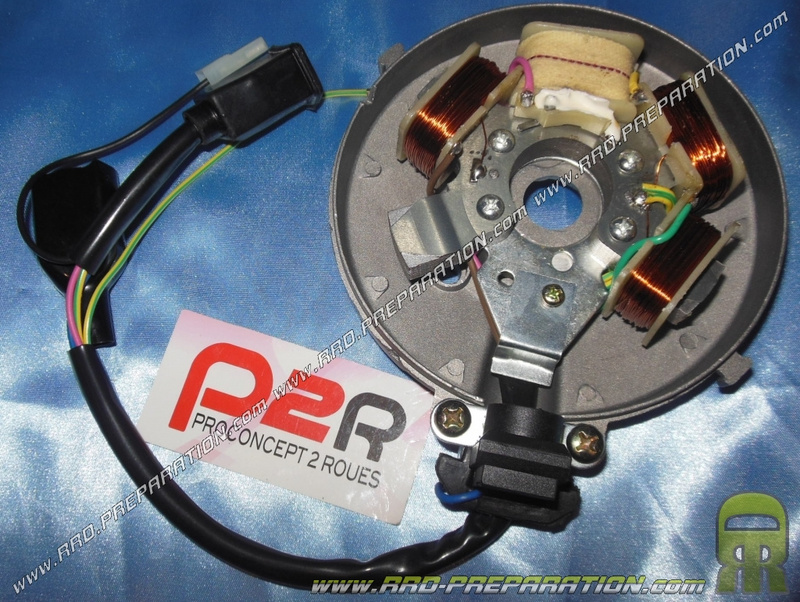 Ideal for reliable and repair your PEUGEOT 103 with electronic of ignition, here are the high quality stator P2R with platinum, it has the full stator beams with fast pods, a coil in 15W, 10W in a coil and a coil ignition. 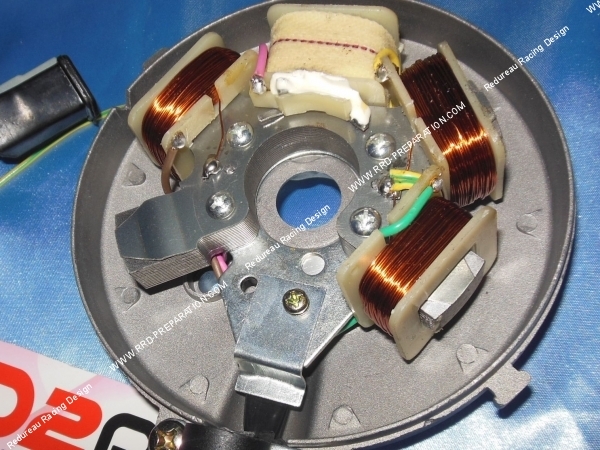 He obviously has the already small welded sensor.